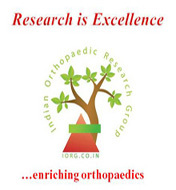 A-203, Manthan Apts, Shreesh CHS, Hajuri Road, Thane [w]. Maharashtra, India. 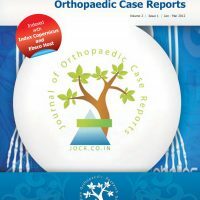 Journal of Orthopaedic Case Reports is licensed under a Creative Commons Attribution-NonCommercial-NoDerivs 3.0 Unported License. Based on work at www.jocr.co.in. Permissions beyond the scope of this license may be available at http://www.jocr.co.in/wp/.